Haywards Heath Town Council has issued a Winter Management Plan as freezing temperatures hit the county. The council is urging residents to take care of each other, the young, elderly and vulnerable, during the cold weather spell. It has teamed up with the district and county council to ensure roads and pathways are safe for residents. While the district and county council will be taking appropriate action on clearing snow or ice from public highways, pavements, precincts and private roads, the town council says it will be deploying its groundstaff to assist with the efforts to manage heavy snow fall and ice within the town. A spokesman said: “With very cold weather and snow crossing the country, West Sussex County Council has issued instructions for what to do to prepare for, during and after snow. “Haywards Heath Town Council also has a Winter Management Plan for Haywards Heath so please visit both of these resources for information and help. “For the past couple of years snow and ice have been all too common factors in our winter weather. 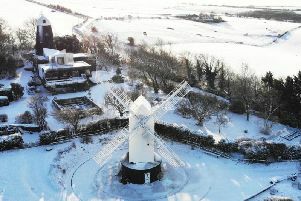 To view the Winter Management Plan, visit https://www.haywardsheath.gov.uk/Winter-Management.aspx.